Oilamatic, Inc. has now sold several hundred Preoiler kits to aircraft owners and installers. Several have been sold to Experimental Aircraft owners. Many have been sold out of country to as far away as New Zealand. Some have been sold to individuals who have sought their own field approval for installation on certified aircraft that are not included in our STCs. Thus far, no one has complained or been critical of the installation instructions, the installation itself or the operation of the Preoiler. We have several thousand inquiries from interested owners and installers. I have spent countless hours educating many on their engine's lubrication requirements. Too, I have educated many on the requirements for gaining certifications and the difference between installing with "approved or unapproved data". I feel rewarded for teaching so many. We have made several presentations to aircraft owner groups around the country and have had display booths at several conventions and workshops including the FAA workshop for pilots and mechanics held in Denver. I have met and talked at length with engineers and technical representatives from both engine and airframe manufacturers. All have been most favorably impressed by the simplicity and integrity of our system and have been very supportive of our endeavor. I have looked under the cowls of hundreds of airplanes and photographed many of them for my reference. Installation on all will be very similar to those that we have already certified. Some, like many we have done so far, will take careful fitting. Others are wide open. I expect no surprises. 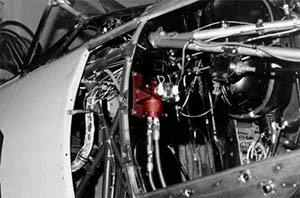 1985 to 1987 – Aircraft Engine Preoiler Development. Conducted research into preoiling efforts of past. Created concept for Preoiling aircraft engines. Designed Preoiler pump. Purchased precision machines to manufacture parts. Machined all parts to create first Preoilers. Installed and tested Preoiler on airplane. Submitted first application for STC in 1987. 1986 – Incorporated Oilamatic, Inc. Created Sub Chapter S corporation to manufacture and market Preoilers for Aircraft. 1988 to Present – STCs awarded. Have been granted 33 STCs (including approved model lists) for installation of Preoiler and special adapters for engines. 1988 – FAA PMA Awarded. Received FAA Parts Manufacturing Approval to manufacture all parts necessary for Preoilers. 1991 – Designee Training. Attended FAA Phase IV Initial Training workshop for designees. 1992 – DMIR. Awarded for issuing export certificates. 1993 – DMIR. Updated to include Conformity Inspections.